Thibaut Courtois will be made to wait for his Real Madrid debut as Keylor Navas starts the new LaLiga season in goal. Former Chelsea man Courtois is the most notable signing of the transfer window for the European champions, but, having sat out the UEFA Super Cup, he has to settle for a place on the bench for Sunday's league opener against Getafe. 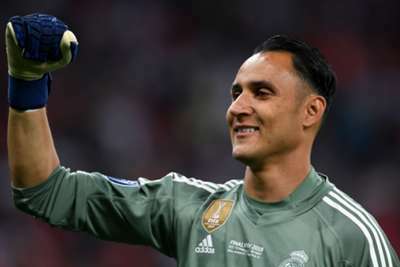 While Navas keeps his place, there are two changes to the team beaten 4-2 by Atletico Madrid in Tallinn. Raphael Varane endured a difficult evening up against Diego Costa and he makes way for Nacho. Casemiro hobbled out of Wednesday's clash and he too is on the bench, with Dani Ceballos starting. Luka Modric, linked with a move to Inter, is also among the substitutes.